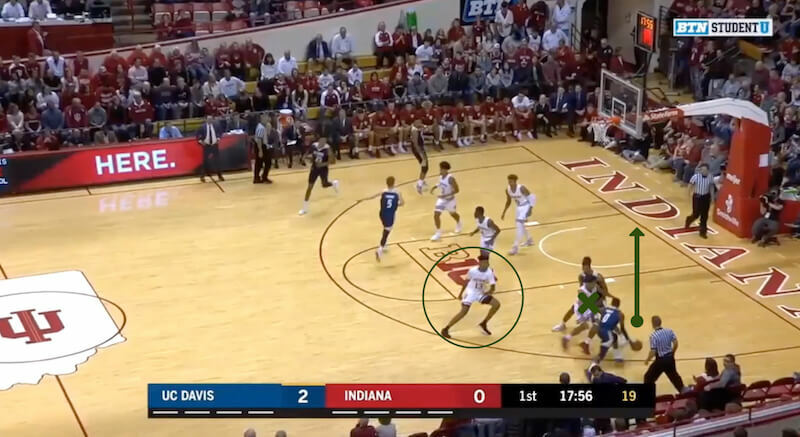 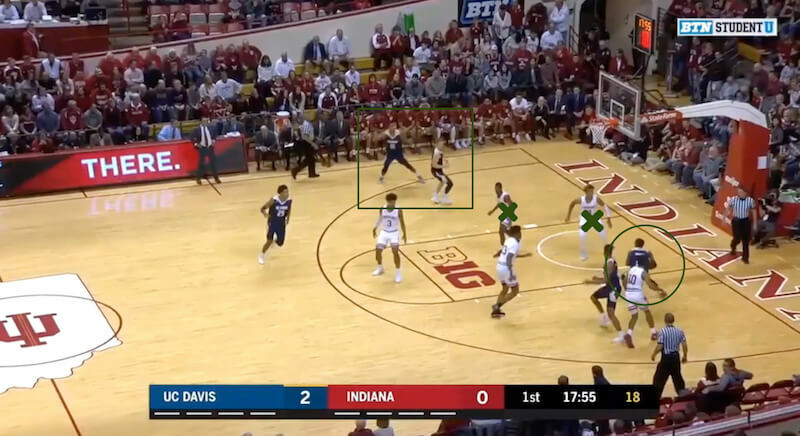 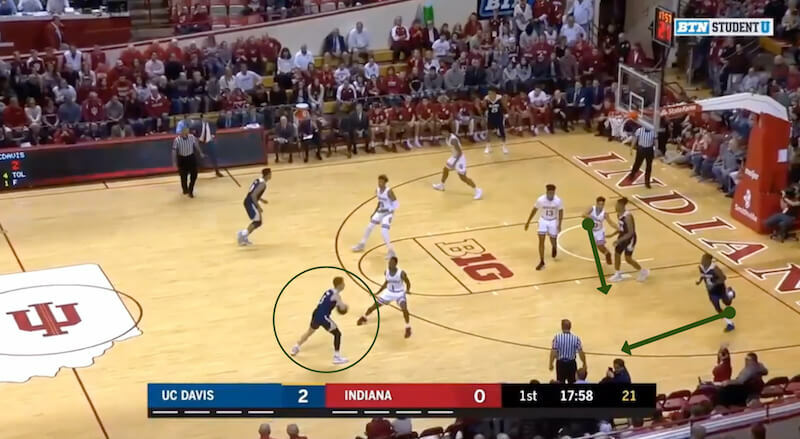 On Friday evening, the Aggies jumped out on top of the Hoosiers in the first half thanks to the quickness of TJ Shorts II and a right wing attack predicated on surprising the Hoosiers with baseline drives. 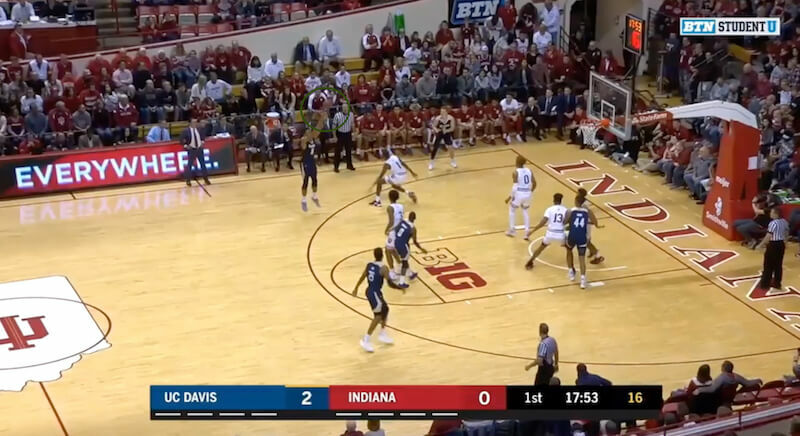 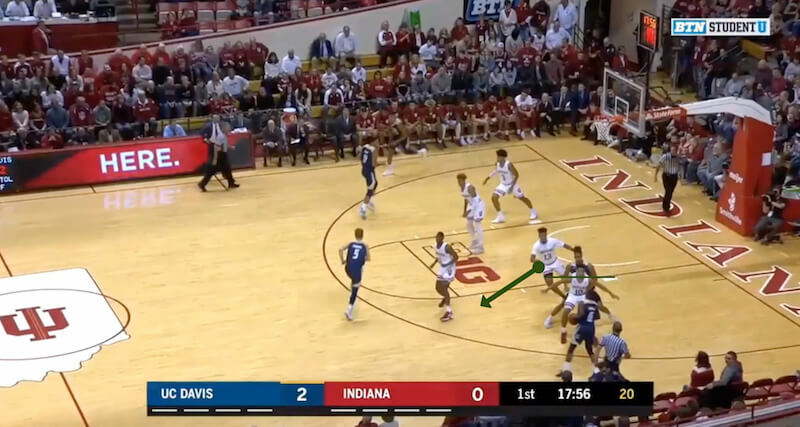 By the second half, Indiana had figured out its counter, helping them slow the UC Davis offense en route to a 14-point victory. 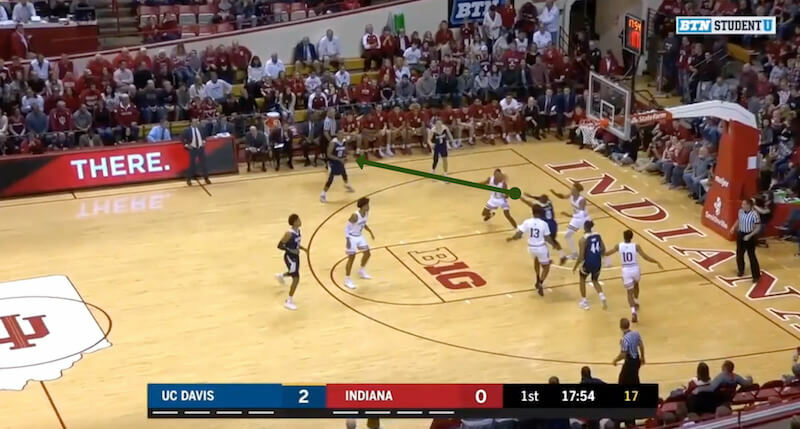 The initial advantage the Aggies gained on the right wing allowed for this open look on the weak side.